Home to the Bronco and F-series enthusiast knowledge database. Join for free, or upgrade your membership for added benefits. Come in and see what they have to offer. The purpose of Comet East Car Club is to promote, preserve, maintain, and enjoy Comet and Cyclone automobiles manufactured by Ford Motor Company from 1960 through 1977 and Mercury Meteors made from 1961 – 1963 in the USA. Join the club today! "Comet West" is a club whose members share an interest in Mercury Comet cars from 1960-1972. This club is open to anyone in Northern California and Nevada. The goal for this site is to give the owners and enthusiasts of Pintos & Bobcats in Connecticut (and anywhere else too) a place to be in contact, buy, sell, get help, exchange ideas, and just "hang out." 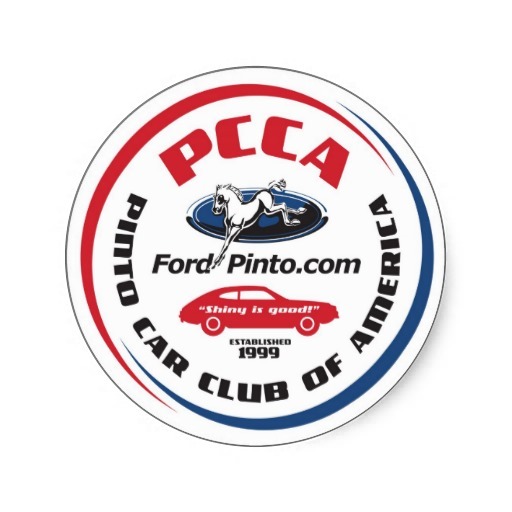 The members here invite ALL Ford Pinto & Mercury Bobcat owners AND enthusiasts to join us. Join with hundreds of Cougar Club Of America members to enjoy events and publications available only to Cougar Club Of America members. As a member you will receive the official publication of the Cougar Club of America, "At The Sign Of The Cat" four times a year and an eye-catching window decal for your Cougar that identifies you to others as a fellow Cougar enthusiast wherever you go. Each issue of "At The Sign Of The Cat" is loaded with valuable information and suggestions to help you keep your Cougar in shape and keep you personally informed as well. There is a classified ad section in each issue where members can advertise free of charge for those hard to find parts and accessories. Since the newsletter is exclusively for Cougar owners, you might be able to find those original old parts you have been looking for! So don't hesitate, check out our website for more information to become a member of the ONLY club dedicated to the preservation of the 1967-1973 Mercury Cougar!! The Early Bronco Registry (or EBR) is a not-for-profit 4WD Association dedicated to the Preservation and Enjoyment of the 1966-77 "Early" Ford Bronco! We are the only Early Bronco association in the world, with hundreds of members in all 50 states and Canada. Our members include individuals and families with an interest in the Early Bronco, clubs with 4 or more Early Broncos, and businesses that specialize in the Early Bronco. If you own - or want to own - an Early Bronco, the EBR is your best choice for a regular source of information, tips, parts source, trip reports, stories and photos of other Early Broncos. We are an organization of mid-size Ford owners who are dedicated to the preservation and restoration of 1962 through 1976 Fairlane and Torino cars. We also welcome Mercury owners of cars based on the Fairlane chassis, including 1962-63 Meteors, 1966-67 Comets, and 1968 and later Montegos. Other names associated with the Fairlane include Thunderbolts, Rancheros, Cobras, Cyclones, Spoilers, and Talladegas. Falcon Club of America offers regional chapters, technical advisors for your project, Ford Falcon On The Web, the Falcon Club Store, and other member benefits. Best of all, you will be supporting the preservation of our favorite cars. This Ford Galaxie Club of America web site offers links to hard to find parts for your Galaxie, model years from 1959 to 1974. We also encourage 1959 thru 1961 full sized Fairlane owners to also join our effort. There is a navigation page to cruise this classic car club with lots of special features: a large photo gallery of almost every year and model Galaxie imaginable plus many links to other Galaxie related sites, technical information, passionate stories, esthetic art and much more! Join us today! Ford Owner's Association of the Carolinas is an organization formed by Ford enthusiasts wanting to bring together all Ford owners dedicated to the restoration, modification, preservation and enjoyment of all vehicles built by Ford Motor Company, from the earliest years to the current models. This association is formed by FORD enthusiasts who want to bring together all FORD owners who are dedicated to the restoration, preservation, modification, fun and enjoyment of all vehicles built by FORD Motor Company, from the earliest years to currant year models. FORD cars, trucks, tractors, Lincoln, Mercury, etc., all under one organization. We welcome ALL FORDS! This is for the love and enjoyment of this great American product. What is better than owning a FORD? This is a family-oriented association for owners of all ages. Welcome to the International Mercury Owner's Association! The club dedicated to Mercury lovers everywhere. We invite you to join us for great benefits and great times. This club has been around since 1991 and currently has over 1400 great members. If you're not yet a member, be sure to visit our 'Join The Club' section to find out about all the great benefits of being an IMOA member and see how easy it is to become a part of this great group. We look forward to hearing from you! We are the International Thunderbird Club, and we accept ALL Thunderbirds. We are a family-oriented club that has an international meet once a year and many local chapter events throughout the year. We publish a 60-page magazine that is full of technical tips, restoration articles, and light-hearted reading for our members. Our common goal is to preserve and enjoy all Thunderbirds with family fellowship, shows, tours, seminars, technical help, parts availability, meetings, and a magazine. The Maverick/Comet Club International, Inc. is made up of members of the former International Maverick/Comet Club,Inc., which was founded in January, 1993 by a few dedicated enthusiasts in several different states. The MCCI is a greatway for owners of 1970-1977 Ford Mavericks and Mercury Comets to communicate with each other, build a network to find parts, and become recognized by enthusiast magazines. Remember, your Maverick/Comet enthusiasm is not complete unless you join the Maverick/Comet Club International.....Join Today!! Join the most responsive and fastest growing organization in the world dedicated to the preservation and enjoyment of the 1964-1/2 through the present Ford Mustangs. Meet us at Car Shows across the USA... Bring your Pinto! Ranchero Enthusiasts is a club dedicated to any Ford car based commercial vehicle from 1952 to present. Specifically supporting 1952 - 1961 Couriers (includes Canadian Meteor Sedan Deliveries up to 1961), 1957 - 1979 Rancheros (includes Canadian Meteor Rancheros, Australian Utilities from 1946 - present, and Argentine Rancheros), 1961 - 1965 Falcon and Courier Sedan Deliveries (includes 1960 - present Australian Falcon Sedan Deliveries and Pinto Panel Deliveries). The Vintage Thunderbird Club International is a non-profit organization dedicated to the restoration, preservation and enjoyment of 1955 through current Ford Thunderbirds. Please visit our web site for more information on how to join. Falcon Club of America - Virginia Chapter. Established March of 2002 with eight charter members, we cover all of Virginia, save for a small northern portion falling under the Mason/Dixon Chapter. Our members' Falcons range from Sprints to Futuras, show cars to those still in need of rebuilding.